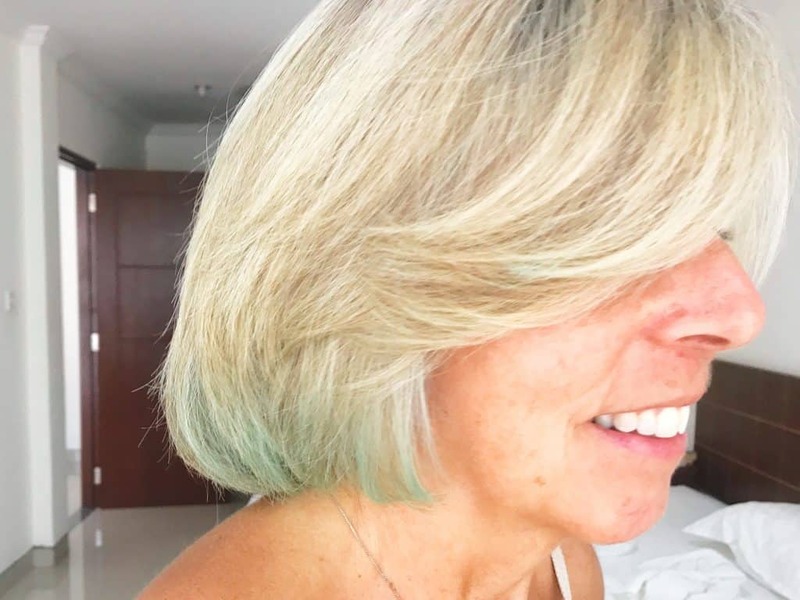 Living in Bali: Our swimming pool RUINED Mum’s hair! Mega lols today, folks. if you’ve been following us on YouTube for a while you may remember that the first time we were living in Bali our pool turned my hair green, which was not my favourite thing ever to have happened to my hair. I’d gone in the pool not too long (like a couple of weeks) after having highlights done; I’m not sure if it was the fact that my hair had been recently bleached, or just the strength of the pool chemicals, but it reacted and turned it a green that shimmered in the light. It faded, eventually, and last week Mum and I splashed out on our first hair appointments in SIX MONTHS at Toni & Guy in Seminyak when we realised that living in Bali doesn’t mean we have to live with tangled hair and a layer of chlorine and salt over our skin the whole time (read about how I realised that hair appointments are basically the same as having a baby, here). Yep, it happened. Living in Bali has its costs. 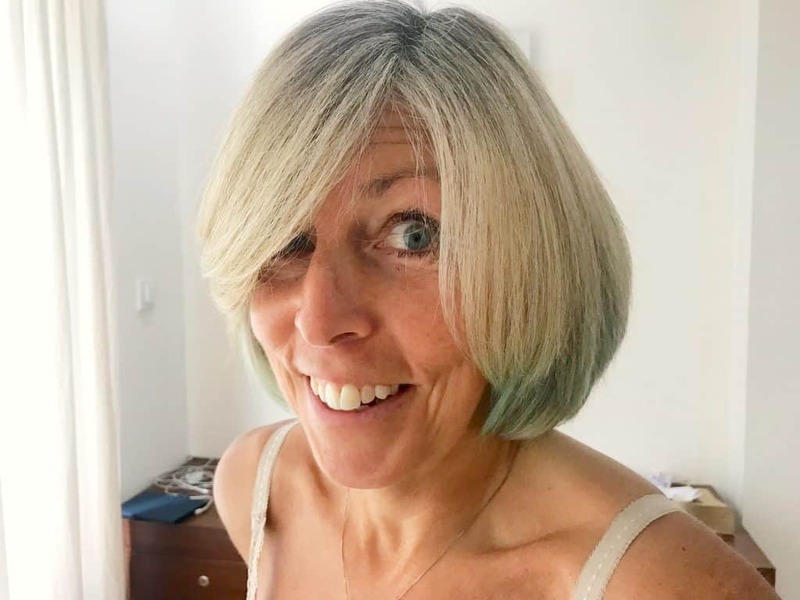 It is extremely lucky that only the ends have taken the colour, but Mum is for sure rocking some fairly bright blue ends- it looks like she has dip-dyed her hair. “How bad is it, on a scale of 1-10?” she asked as I tried to compose myself. Apparently, honesty sometimes is not the best policy. What do you think? Maybe a couple of pink streaks in there would finish off the look? Let us know your worst hair disasters in the comments! 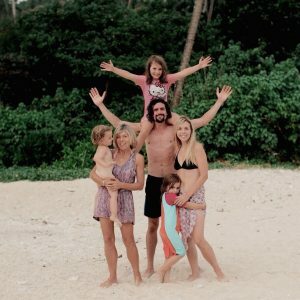 If you want to read more about our various mishaps about living in Bali and beyond (there are a LOT! ), click here.